JP Industrial is an industry leader in the providing, procuring, and reprocessing of a vast assortment of plastic materials to a wide variety of businesses throughout the United States. From simple Material Conversion to Decontamination Services, JP Industrial works diligently to provide a plethora of services to our customers, establishing us a one-stop shop for all your plastics needs. With locations from coast-to-coast, wherever you are, JP Industrial can be there to provide efficient, cost-effective plastic solutions with unmatched customer service. With state-of-the-art facilities, unbeatable customer service, and decades of experience, JP Industrial is one of North America’s leading plastic recyclers. JP Industrial procures, reprocesses, and provides a wide assortment of plastic materials for a variety of companies. In addition to post-industrial recycled scrap materials, we can provide fabricators and extruders with custom compounds and feedstocks. JP Industrial is your one-stop shop for all your manufacturing plastic needs. From simple conversion services to customizable full-circle recycling programs, we have the solution to fit your business and budget. JP Industrial has locations from coast-to-coast, giving us the ability to provide our customers with the most cost-efficient, reliable service available. In an era where profits and margins are becoming increasingly difficult to sustain, JP Industrial has continued to provide its partners with opportunities to see growth where many cannot. WHY CHOOSE US FOR YOUR PLASTIC RECYCLING & REPROCESSING NEEDS? JP Industrial provides many of North America’s largest manufacturers with customizable, full-circle recycling programs tailored to fit their individual needs. Our partners see our company as a breath of fresh air in the recycling industry, where brokers and middlemen suffocate profit margins far too often. 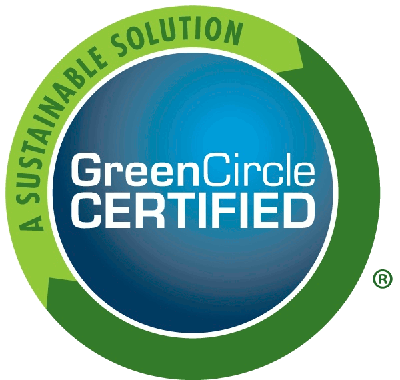 We are a multi-faceted recycling and manufacturing group with locations nationwide. With nearly 30 years in the recycling and reprocessing industry, our experience has enabled us to progress in an ever-changing industry that demands adaptability and refined problem solving. Specializing in grinding, compounding, sorting, pulverizing and separating, we have both the skills and infrastructure to provide our customers with tangible solutions for a variety of needs. Our state-of-the art facilities, when combined with unsurpassed customer service and winning partnerships, have solidified us as the nation’s leading full-circle PVC recycler. We are a solution-oriented company that provides waste reduction services for manufacturers; we develop processes to reuse material that was never thought possible. Our goal is to provide solutions for companies to maximize their efficiencies so that they can focus on their strengths. At the same time, we have the means to supply manufacturers with a variety of specially formulated compounds to reduce raw material costs and add to the bottom lines. There has never been a better time to utilize JP Industrial's innovative services to save your business time and money. Contact us today to learn how we can help you with your plastic needs! Copyright © 2018 JP Industrial | All rights reserved.